Washington D.C. — The Securities and Exchange Commission today announced that Citadel Securities LLC has agreed to pay $22.6 million to settle charges that its business unit handling retail customer orders from other brokerage firms made misleading statements to them about the way it priced trades. But the SEC’s order finds that two algorithms used by Citadel Securities did not internalize retail orders at the best price observed nor sought to obtain the best price in the marketplace. These algorithms were triggered when they identified differences in the best prices on market feeds, comparing the SIP feeds to the direct feeds from exchanges. One strategy, known as FastFill, immediately internalized an order at a price that was not the best price for the order that Citadel Securities observed. The other strategy, known as SmartProvide, routed an order to the market that was not priced to obtain immediately the best price that Citadel Securities observed. "Citadel Securities made misleading statements suggesting that it would provide or try to get the best prices it saw for retail orders routed by other broker-dealers," said Stephanie Avakian, Acting Director of the SEC Enforcement Division. 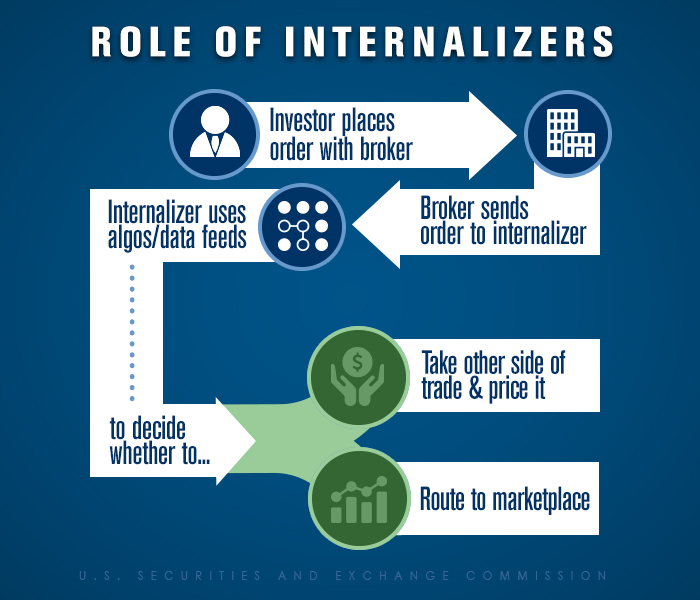 "Internalizers can't suggest they are doing one thing yet do another when it comes to pricing trades." As a “wholesale market maker” or “internalizer” that specializes in handling retail orders from investors who are customers of other broker-dealers, Citadel Securities executes approximately 35 percent of the average daily volume of retail equity shares traded in the U.S. markets, according to the SEC’s order. The SEC’s order finds that Citadel Securities, which has since discontinued the two algorithms at issue, violated Section 17(a)(2) of the Securities Act from late 2007 through January 2010. Without admitting or denying the findings, Citadel Securities agreed to be censured and pay $5.2 million in disgorgement of ill-gotten gains plus interest of more than $1.4 million and a penalty of $16 million. The SEC’s investigation was conducted by Wm. Max Hathaway, Fuad Rana, David Bennett, Ainsley Kerr, Matthew Koop, John Marino, and Carolyn Welshhans of the Market Abuse Unit, and Stephan Schlegelmilch from the Trial Unit. Maxwell Clarke and Michael Barnes of the Division of Economic and Risk Analysis provided substantial assistance. The investigation was supervised by Mr. Cohen.